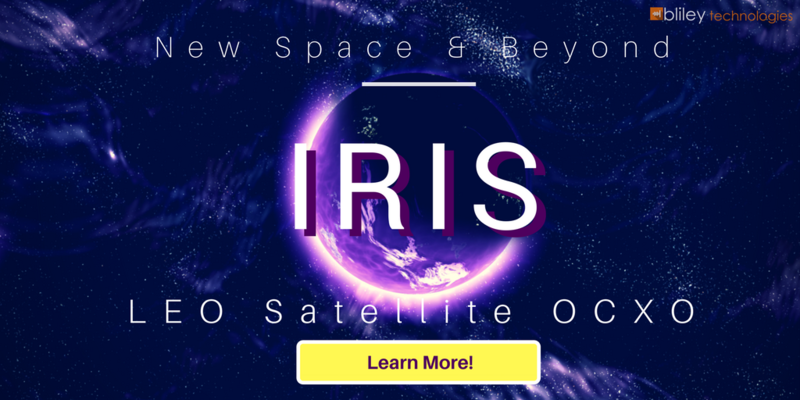 Satellite communications make it possible for so much of today's technology to function. 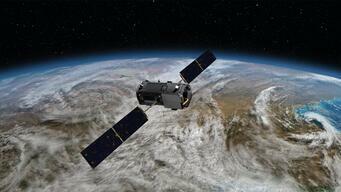 From GPS and HDTV, to the safety and protection our armed forces provide, there are many uses for satellites. However, different uses require different techniques for transmitting the data back to earth in the most effective way. 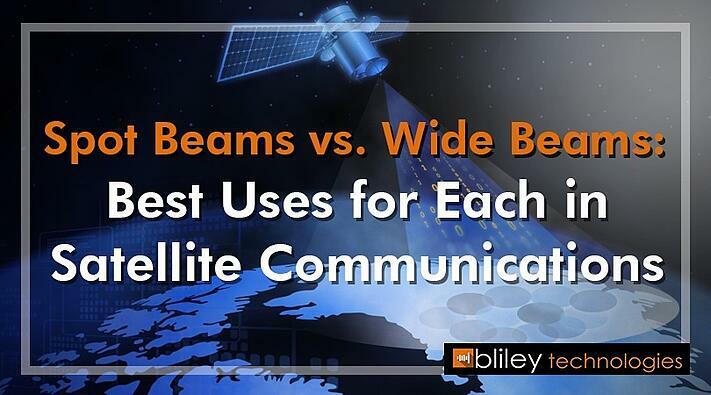 In this post, you'll learn how spot beams are used, and what tasks they are best suited for in satellite communications. “Spot beams” is a term used in satellite communications terminology to describe the targeting of radio signals from a satellite at a specific point on the earth’s surface, just like how a spotlight will focus the light emitting from a bulb. Ordinarily, a bulb will shine in all directions, but using a spotlight will focus the rays in the desired direction, and prevent light from shining in directions you don’t want to illuminate. 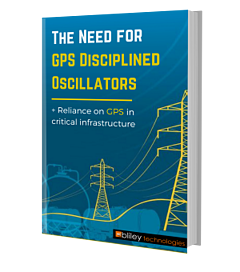 In the same way, spot beams of radio waves are aimed at specific geographic areas or surface-based stations. The technique was first proposed in the 1970s and has greatly improved the quality of satellite communications since it was introduced. Generally speaking, satellite beams tend to be focused so that they don’t go too far beyond the borders of the country which owns that satellite. This is done intentionally so that different countries can engage in satellite broadcasting without having to deal with constant interference caused by broadcasts intended for other countries. The term “spot beams” is often contrasted with “wide beams” which, as the name implies, cover a much larger geographic range. What distinguishes spot beams from wide beams? It’s a matter of how much area a beam covers within the geographical range in which it is permitted to operate. Beams which cover the entire continental US (also known as “CONUS” beams) would be considered wide beams. But it is also possible to direct narrower beams at specific geographic regions like the Northeast or the Midwest. These would be considered spot beams. A transmission intended for only one receiving station would also be spot beam. Spot beams are more concentrated in power than a wide beam, so those on the receiving end get a stronger signal. Since the coverage area is smaller, there is also a reduced risk of interference with other transmissions using the same frequencies, or interception by third parties. Spot beams are often used in satellite television, as well as uplinks and downlinks between a satellite and a specific transponder. Let’s look at the satellite television industry to see an example the benefits offered by spot beams. Satellites owned by DirecTV broadcast signals all over the country. A layman might think the company would just opt for wider CONUS beams since their service is offered nationwide, and there was indeed a time when this was the case. But nowadays, DirecTV makes extensive use of spot beams for providing satellite TV to their customers. The reason for this is that in addition to the 1000+ national channels, about 75 percent of the company’s satellite capacity is reserved for local channels, which only serve specific regions of the country. There are nearly 3000 local channels serving all those local markets. People in Omaha do not need to see the local news in Boston, and vice versa. Spot beams allow each of these regions to receive a stronger signal carrying the content that is intended only for that market. Even more significantly (for providers if not for the customers), the use of spot beams allows DirecTV and other companies to use the same frequencies at the same time for different geographic areas without the risk of interference. This allows them to provide an enormous variety of content to different markets all over the country without having to license additional frequencies. 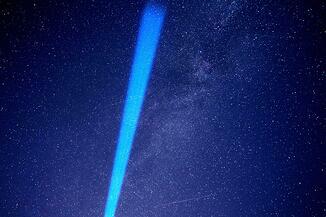 Are spot beams better than wide beams? It really depends on what you’re trying to do. For a long time, wide beams worked just fine for satellite TV. If you are trying to serve regional markets, or you are specifically trying to connect with only one or a few surface-based stations, then spot beams are the way to go. Otherwise, a wide beam is better for broadcasting the same data on a given frequency across the widest possible area. As you can see, spot beaming is a SATCOM technique in wide use today, and it will be used even more in the future as more Ku and Ka band systems go online. Using spot beams in the Ku and Ka bands allows users to take advantage of the much higher throughputs allowed by these frequencies compared to lower bands, while also benefiting from the inherent advantages offered by spot beams. Using spot beams can also help overcome one of the disadvantages of Ku and Ka bands: their susceptibility to atmospheric attenuation (aka “rain fade). Using spot beams complements a site diversity strategy for mitigating rain fade, which calls for connecting to multiple ground-based stations at the same time to compensate for degraded communications with a station that is affected by the inclement weather. Spot beams are perfectly suited for this task. Of course, spot beaming is just one tool in your arsenal using these powerful bandwidths. Read on learn more about design considerations you’ll need to take into account when working with Ku and Ka band systems.